Penn State’s Bo Nickal, top, pins Jackson Striggow of Michigan in their Big Ten dual meet at the Bryce Jordan Center Friday. 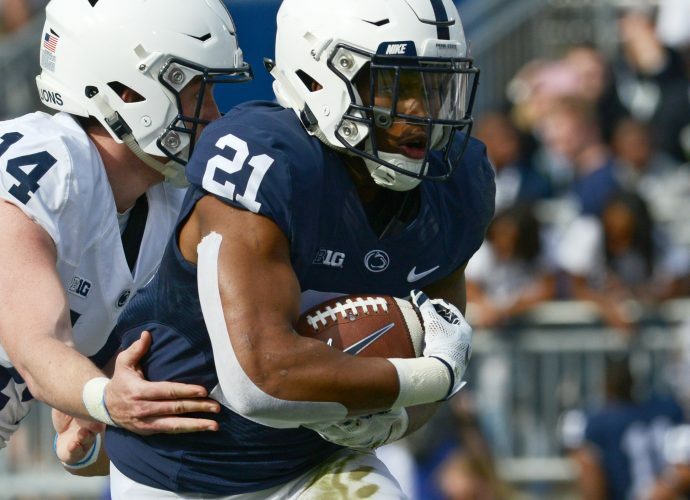 It was the only fall recorded in the match, which Penn State won. UNIVERSITY PARK — Even when his team trailed 8-0 and 11-3 early in the dual meet Friday night against No. 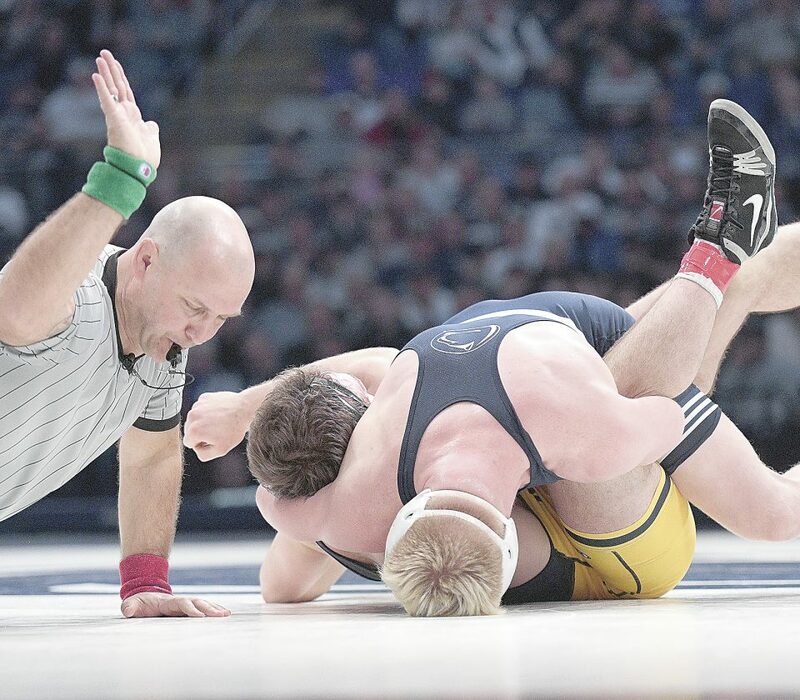 4 Michigan, there was no panic in Penn State coach Cael Sanderson. The Nittany Lions came out after the break and swept the final five bouts to turn an 11-6 deficit into the 14-point win. Three of them weren’t easy — in fact, they were decided in the closing seconds. That fact wasn’t lost on Michigan’s first-year coach, Sean Bormet. Second-ranked Shakur Rasheed, back in the lineup with a wrap on his right knee after missing the last three duals, hit two quick takedowns in the first period and made them stand up. He added an escape in the third for a 5-3 decision over Jelani Embree. Then, at 133, with Roman Bravo-Young still sidelined by a right knee injury, Michigan’s top-ranked Stevan Micic rolled to a 20-5 technical fall over Penn State senior Scott Stossel, who was making his dual meet debut. Micic rolled up seven takedowns in the win.